Bucksnort, Texas, Falls County ghost town. 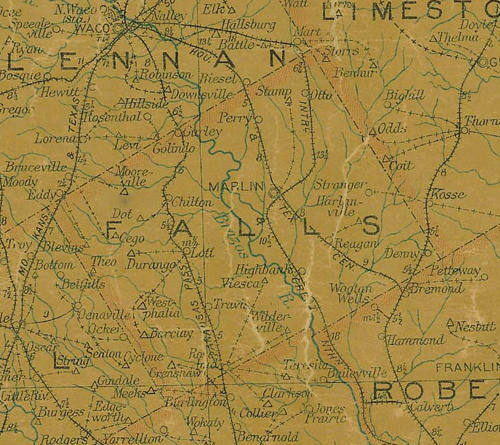 This area was first settled in 1837 by members of the Marlin and Menefee families. The settlement grew steadily, and for a time was known as Jarett Menefee's Supply Station. By the 1840s the village boasted a school, general store, blacksmith shop, racetrack, stable, saloon, stagecoach stop, and post office. According to local legend, the name Bucksnort was coined by an inebriated patron of the saloon. 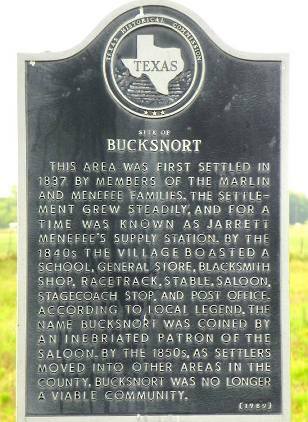 By the 1850s, as settlers moved into other areas in the county, Bucksnort was no longer a viable community.